European Nine Inch Nails dates – not with Jane’s Addiction, as they’re doing in the US – are starting to pop up. So far they’re festival dates which I’m not so keen on. Remember when I mentioned that Nine Inch Nails fans are taking advantage of Trent Reznor’s creative commons leanings? The audio bit is here. Get it. I am. ‘Las Vegas’ – consists of a fully fan co-ordinated, recorded, and produced version of the final show in Las Vegas, mixed and mastered from a variety of hi-quality fan audio sources. ‘The Gift’ – takes footage supplied by Nine Inch Nails from 3 different shows in the final part of the tour, carefully edited together to get the best of each show. I’m a few days behind because I was lollygagging about in Ottawa, but the big news in Nine Inch Nails world is that Trent Reznor’s decided to chill for a while.The band will do a co-headlining tour with Jane’s Addiction – who invited NIN onto the first Lollapalooza tour, giving the band their big break – and then go into hiatus afterwards. This is probably good timing. NIN have produced a few years of very good concerts. I just want to see one more European leg and I’ll be happy. Then Trent go move on to making a reality TV show about trying to kick the “none more black” clothing habit, or whatever it is he wants to do next. Just over a year ago Trent Reznor (aka Nine Inch Nails) freed himself of all big-label constraints. As a result he’s been doing wacky things. First he suddenly released a 4-CD instrumental album (partly free) which turned out to be Amazon’s best-selling MP3 album of 2008. Then he released an entire album for free. A couple of months ago Trent said he wanted to film a 3D concert video of their upcoming shows. That plan fell through, so he nixed the typical “no video” policy for several of those shows instead. It seems he wasn’t content with letting the fanboys be the only ones to share in the fun. 400 GB of high-def concert video, taken via commercial video recorder, from those shows has just been made available for torrenting from nin.com. The challenge has been put out to those willing to download and edit it: make yerself some fan vid! 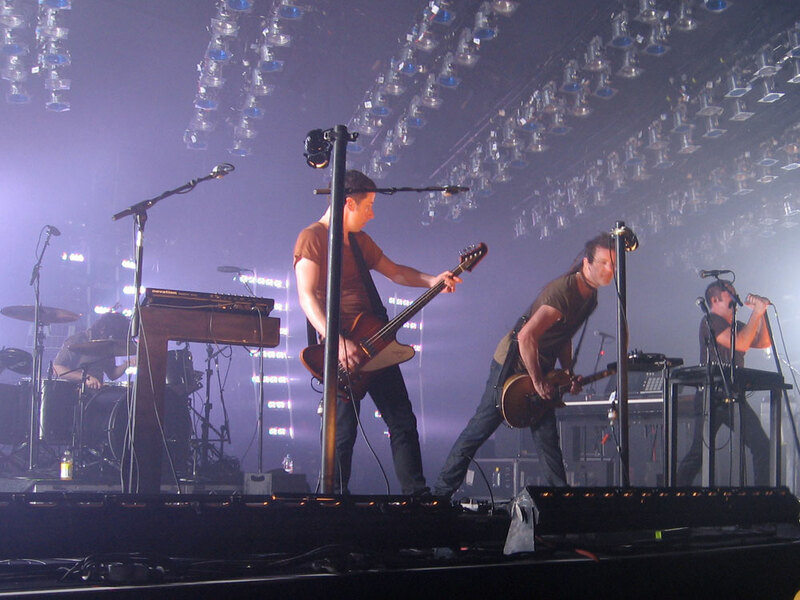 Nine Inch Nails has just scheduled a bunch of additional North American tour dates. They’ve also hinted that dates outside the Americas are on the way. Third of three live rehearsal videos from Nine Inch Nails. Second of three new live rehearsal videos from Nine Inch Nails.